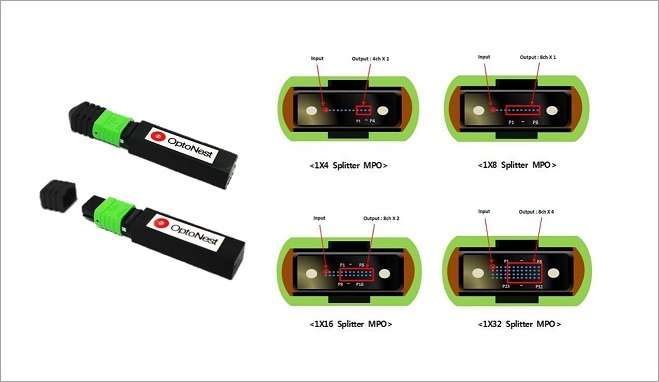 OptoNest developed & launched a new product, "MPO Splitter"
OptoNest's MPO Splitter is made with a high-density MPO connector, and it realizes the Optical Splitter’s function which divides & delivers the optical signal into a number of ports with compact size. User can reduce their time and space volume from the advantage of MPO connector, Further It can cut the cost for the maintenance and management of inventory due to customizing with various Fan-out or Cables. ※Please check the specification with the link below.